Its been a while since my last proper post as I’ve been busy moving my life across the Atlantic to Switzerland. I’m now getting settled in Zurich and finally got the chance to start writing about my experiences. Taking the role of Mr State the obvious: Switzerland is a mountainous country. Wherever you are, it seems like you can always see a mountain looming somewhere on the horizon. This more than anything has shaped the people who live here and the way they live. Only recently has it become easy to travel from valley to valley let alone from one end of the country to the other. This has enabled switzerland to evolve and preserve a vast array of traditions that have died out in many other countries. 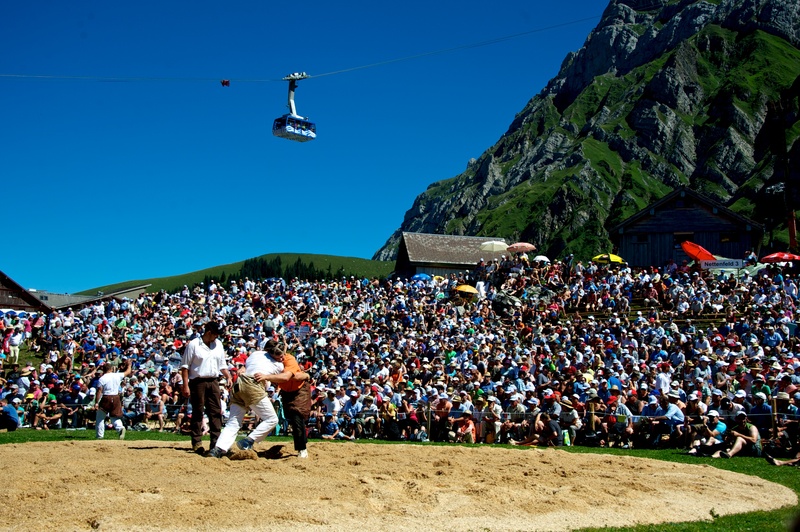 Schwingen, swiss mountain wrestling, is one of these traditions. Think Japanese sumo wrestling, with skinnier participants taking place high on the mountain grazing pastures. As a bonus, the wrestlers wear substantially more than the oversized sumo ‘thongs’. 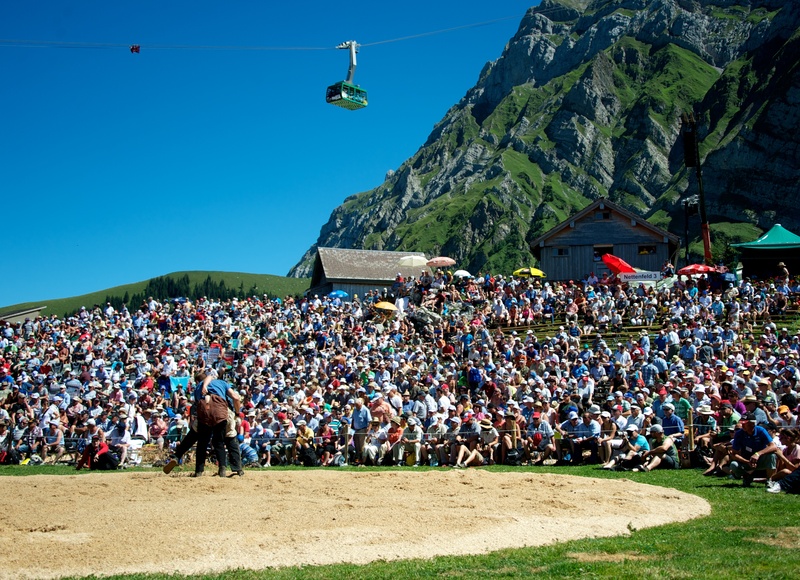 A few weeks ago I travelled up into the Apenzell region to discover what happens in this most Swiss of events.